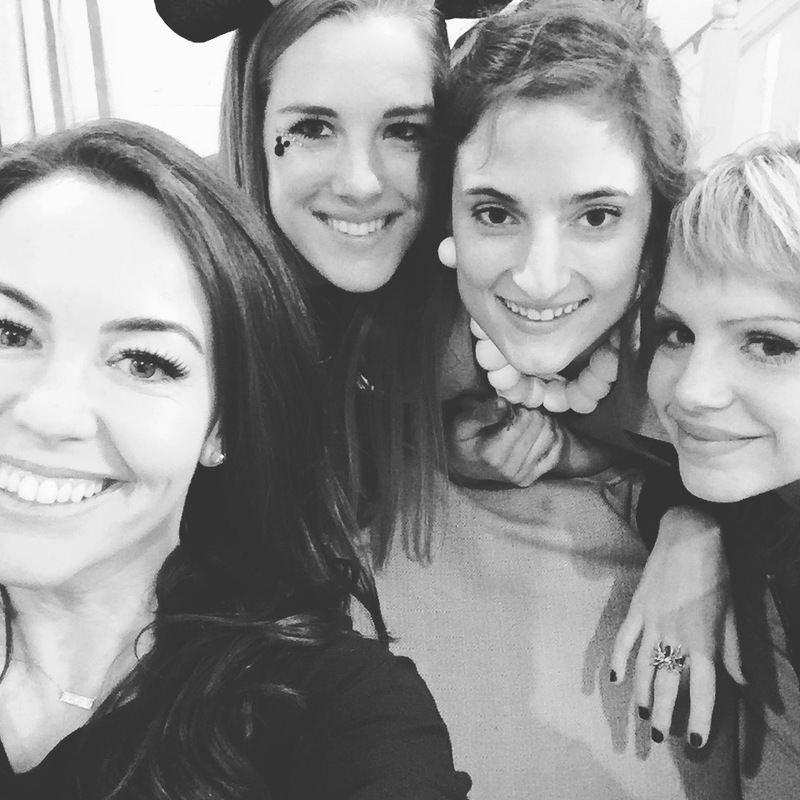 This past weekend deserves its own post, because it was one for our books! 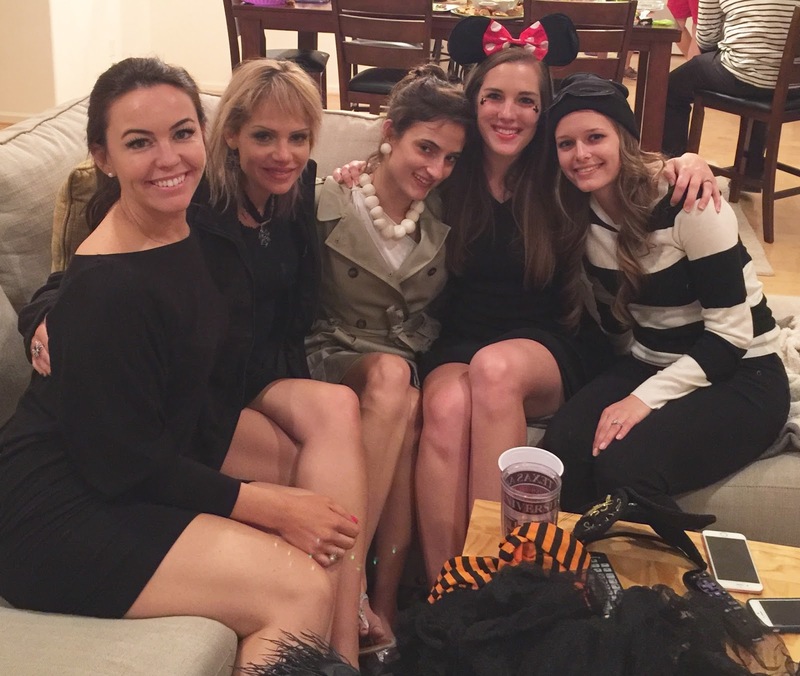 I cannot remember a past Halloween that was more fun than this one, and I am already sad it's over! Friday evening, we threw a Halloween party for a few friends. This was our first party in our new house (we moved in June, so it took us long enough! ), and we were so anxious to finally host something. The party was a blast, but honestly, the people that came make anything fun. We lucked out in the friend department here. Good people, these people. The party was a costume party, because obviously. It's Halloween, so it's simply a requirement. This costume aspect was about the death of us. Parker really wanted to be Ron Swanson and Leslie Knope from Parks & Rec. I love those two, but dressing up as Leslie Knope would have meant wearing a suit all night. Nooo thank you! That's just not fun. Parker had a slew of other fun ideas from Jon Snow and Ygritte (Game of Thrones) to Luke Skywalker and Princess Leia, but we couldn't find the pieces to make the costumes work. "I went from Jon Snow to Luke Skywalker to Mickey... Happy wife, happy life." That poor kid. What a trooper! Our friends got really into the costumes as well, which made it so fun. There were some clever costumes! We had everything from Wilma to a burglar to a Bud Light. I love doing life with these girls. They make this whole Navy thing awesome. I think military friends are kind of like family. You don't get to pick them, so you kind of just hope for good ones. We have definitely been blessed with a wonderful military family! We went through candy on candy on candy and had so much fun seeing all of the sweet costumes. I told Parker it made my ovaries hurt. They were so cute and I wanted to adopt them all for my own! We also watched Hocus Pocus in between answering the door. I haven't seen many Halloween movies, but that one is so darn cute! Sunday, my sweet friend Lea took our family pictures for Christmas cards. This girl is a saint, and she did such a good job! One of my October goals was to take our Christmas pictures so I could get the card ordered and not have to worry about it, and I am so thankful to Lea for helping us out with that. Here is a sneak peek of one of the shots she got! All in all, it was the best weekend. Sunday felt like it lasted forever with that extra hour, and it now gets dark by 5 PM. Pros and cons, ladies and gents. 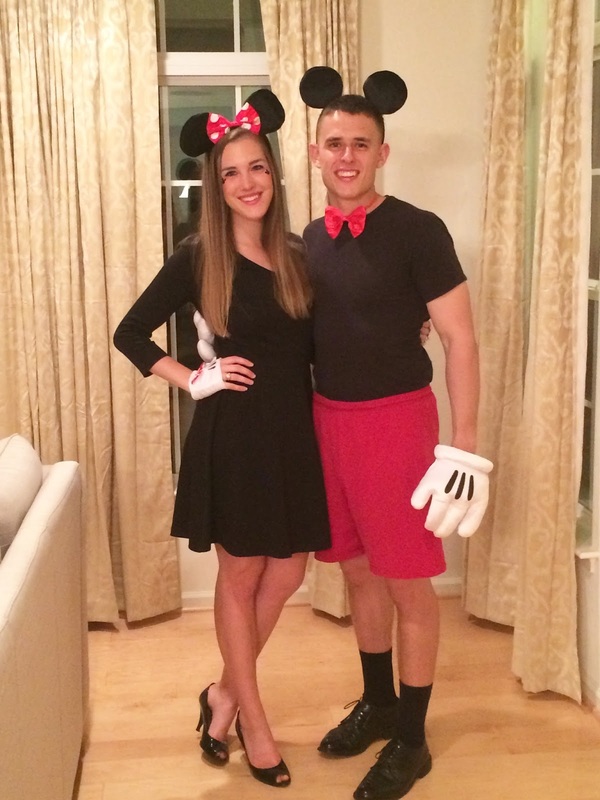 I love your Minnie and Mickey costumes, so perfect!!! Also, if the rest of the Christmas card pictures are anything like the one you posted-I think it's going to be hard to pick what one to use! That's a good problem though! 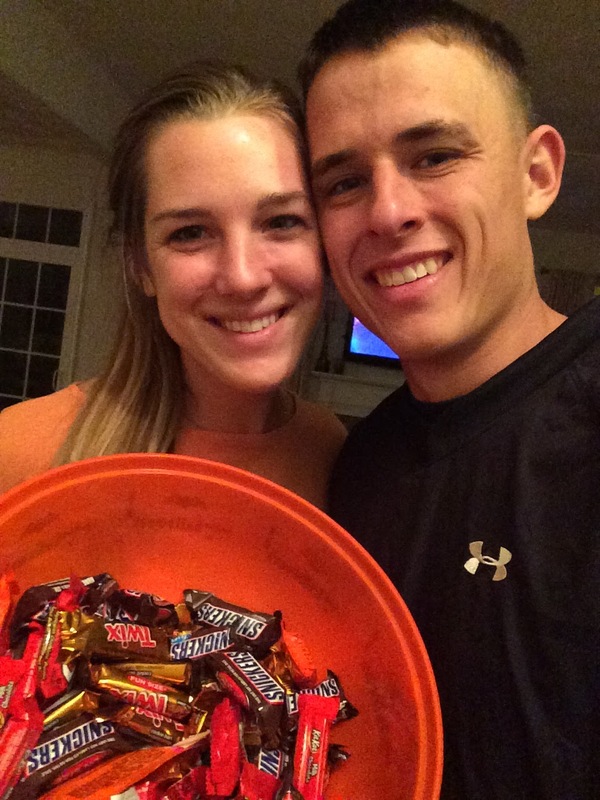 :) Glad you had a great Halloween Weekend! He looks happy being Mickey haha..!! Trooper most definitely! My younger brother is in the military and also says military friends are the best! Happy Monday! You guys are seriously the most photogenic couple ever! I love how your costumes turned out! I love your costumes! Andy and I have already planned out our costumes for next year since they were half-off yesterday... I'm going as Princess Leia and he's either going to be Luke Skywalker or Hans Solo, and Frankie is either going to be Darth Vader or R2D2! Ahh! Love y'all's costumes!! Such a cute idea. We are crossing our fingers for hosting a Halloween party next year in our own (future) house! Love that last picture, too!! Can't wait to see the rest!!!! I love that Christmas card picture! The dress and the shoes Jenny's face! 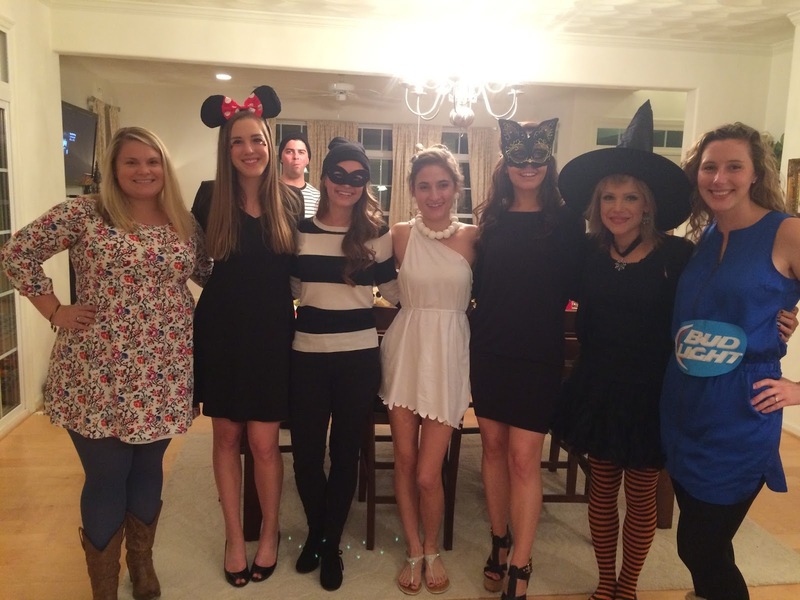 Your party looked so much fun and your costumes came out nicely! Parker is such a good sport. 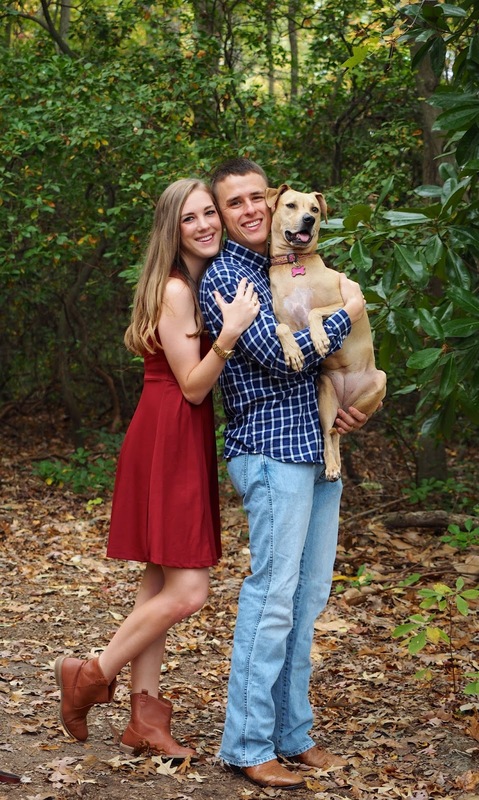 Your Christmas card photos look gorgeous! The costumes were so cute! Also your Christmas card picture is gorgeous!